Latvian coast and beaches offer some unique views. The combination of white sand, pine trees and grass is what you usually find. If you are lucky you can also find an amber stone; the highest chance is just after the storm. 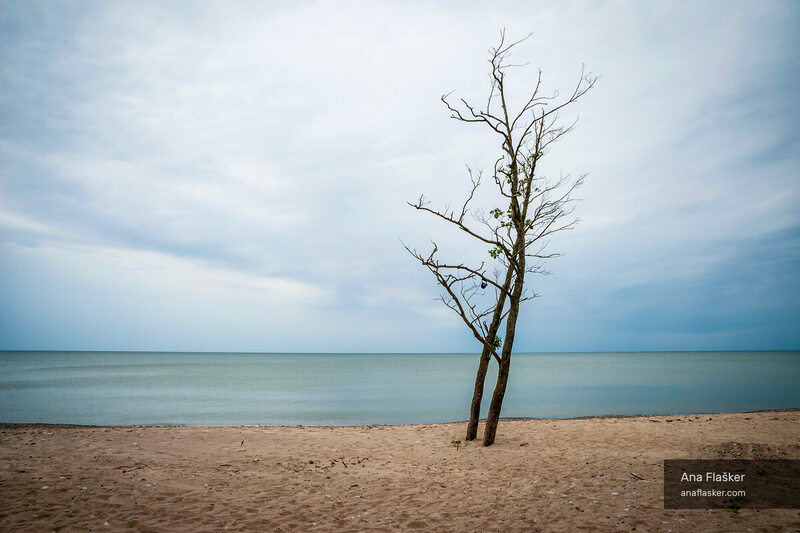 The lonely nearly dead tree was spotted at the northern coast of Liepaja and the sea was pretty calm on that day.